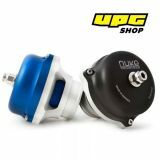 The body and all internal components are CNC-machined from 6082 aluminum alloy. The design and finish gives a very clean and unique appearance. 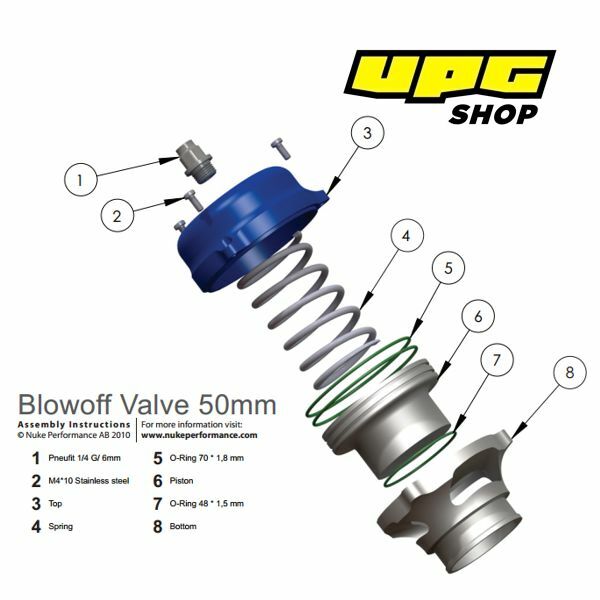 The Blowoff Valve is anodised for a long lasting, corrosion-free appearance. The Blowoff Valve comes with one air fitting, with over sized 1/4 connection for quick and actuator response. 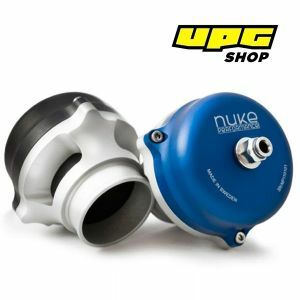 The Blowoff Valve and housing are available in black or blue color. 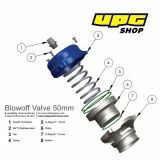 To get the effect you want from your new Blowoff Valve is to use the correct setup for your current engine specification. 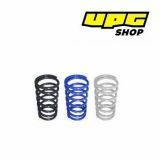 We have for our 50 mm Blowoff Valve three different springs to choose from, and to let you know which one suits you here below is as chart to give you a guide.